When a doctor in Florida makes a mistake and harms a patient, the McMillen Law Firm is there to help. For over 30 years our lawyers have helped families and loved ones put their lives back together. We focus our practice primarily on medical malpractice. It’s what we specialize in. When other attorneys need an expert to help manage a case, they turn to our lawyers. We have the experience and the resources to handle cases others are afraid of. McMillen Law Firm handles malpractice cases throughout Florida and Georgia. On occasion, our attorneys are also asked to be lead trial counsel to assist lawyers with cases in other states. Although we have recovered many millions of dollars for our clients over the years, unlike other law firms, we do not like to boast about individual verdicts or settlements we obtain. What we are most proud of is that every case we bring is about more than obtaining compensation for our clients. While fair compensation is important, the lawyers at McMillen Law Firm are motivated by a higher calling, and we will only represent clients who are also motivated at least partly by the same mission. That mandate is to pursue cases which will result in improvements in overall patient safety. The money we recover certainly helps our clients cope with the harms and losses they have sustained. But just as important for us and our clients, bringing the right case helps ensure that the malpractice is less likely to happen again and injure other patients. When we represent clients who understand this, the money recovery will normally be there, but it is the knowledge that they have also made a difference in the lives of other patients that gives our clients true peace and helps them find closure for their own personal tragedy. If you are motivated by similar aspirations, we would like to hear from you. Of course, a consultation with us is always free. If we accept your case our attorney fees are contingent on a successful outcome. We will not ask you for a cost deposit and we advance all expenses of your case. If there is no recovery you owe us nothing for attorney fees or for the expenses we have paid out in the case. Please understand we at the McMillen Law Firm are very selective in the cases we take, and currently, we turn down approximately 300 cases offered to us for every case we accept. That is primarily because we are looking for cases that have an impact. Not necessarily a high dollar impact, but a high impact on patient safety. The lawyers at McMillen Law Firm are patient safety attorneys, and we are very proud of that. The founder of the McMillen Law Firm and its senior trial lawyer, Scott R. McMillen, has been successfully handling medical malpractice cases for 37 years. He started his legal career as a hospital attorney, but for the last 30 years, he has been representing plaintiffs and their families. Mr. McMillen received his Doctor of Law degree from Emory University in 1979 and his B.S. in 1976 from Florida State University, majoring in Government. He has been licensed to practice law in Florida since 1980, and in Georgia since 1979. Martindale-Hubbell is the oldest lawyer rating service and directory in the world, having first been published in the 1860s. 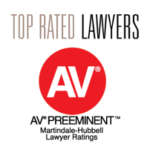 Martindale-Hubbell has rated Mr. McMillen “AV Preeminent – 5.0 out of 5.″ This is the highest rating given and according to Martindale, this certification is a testament to the fact that Mr. McMillen’s attorney peers consider him to have achieved the highest level of professional excellence, and also as having very high ethical standards. In rating lawyers, Avvo uses a model that considers a lawyer’s years in practice, the absence of disciplinary history, professional achievements and industry recognition, which are all factors that are highly relevant to assessing a lawyer’s qualifications. Mr. McMillen has achieved an Avvo rating of “Superb – 10 out of 10.″ This also is the highest score given. In the Avvo system, all lawyers are rated by the exact same standards using a mathematical model to ensure that the rating system is completely unbiased. As with the Martindale-Hubbell ratings, there is no rating favoritism and lawyers cannot pay to be rated, or pay to improve their rating. Throughout his lengthy career, Mr. McMillen has been highly active in community and professional organizations. He has financially supported and served on the boards of many charitable and community arts organizations. He is has been a member of the Board of Directors of The Florida Justice Association, which is the large statewide organization of trial lawyers in Florida (formerly called The Academy of Florida Trial Lawyers). He has twice served as Chairman of the Florida Justice Association’s Medical Malpractice Committee. 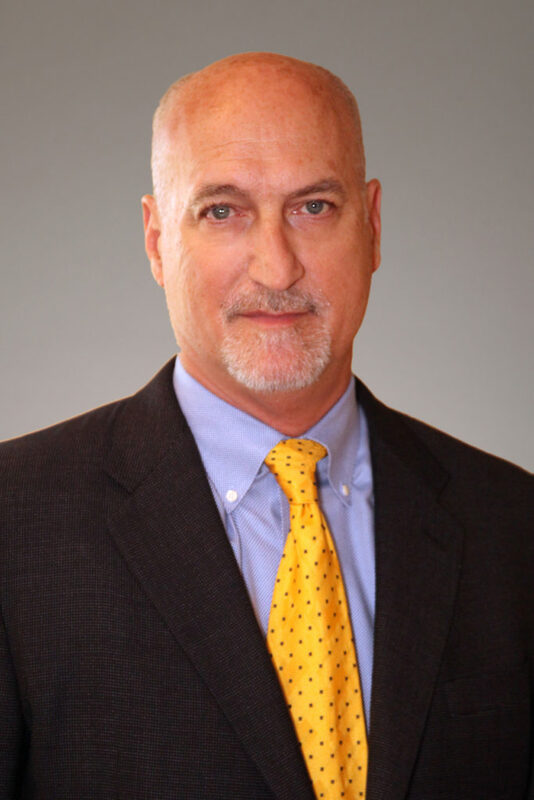 He has been elected by his peers to serve as the President of the Central Florida Trial Lawyers Association, President of the Orange County Bar Association, President of the Orange County Legal Aid Society, and as a Governor of the Florida Bar Association (the statewide organization that includes every licensed lawyer in the State of Florida). Along with his attorney daughter, Allison McMillen, he currently serves as the author of the medical malpractice law column in the Journal of the Florida Justice Association which is published monthly and distributed to attorneys statewide, and together they co-authored a chapter in the Florida Medical Malpractice Handbook, Second Edition, published by The Florida Bar Association in 2009. Other important malpractice publications include “The Overlooked Emergency Room Cause of Action” Vol. LXXI, No. 10 The Florida Bar Journal (Nov. 1997), and “The Medical Malpractice Statute of Limitations” Vol. LXX, No. 2 The Florida Bar Journal (Feb. 1996).